After over a year of campaigning, the Our City Our Schools coalition has achieved a historic win: the end of the 16-year failed experiment of the state-controlled School Reform Commission. As the people who have been in the trenches fighting against privatization, school closures, and budget cuts and for community schools with restorative justice and culturally relevant curricula, we are ready to take the lead in defining a new era for our schools. We are introducing the People’s School Board slate — parents, students, educators who are ready to lead our schools in a new direction. Kendra Brooks is the parent of four children — two graduates of the Philadelphia schools and two current students. She is the former chair person and current vice chair of the School Advisory Committee at Steel Elementary in Tioga Nicetown. 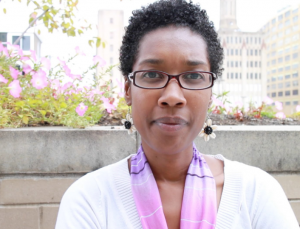 She has been Steel Strong for 20+ years as a parent, organizer and activist. Kendra is also an instructor and consultant of restorative practices and family and community engagement. She is an organizing member and parent advocate/activist with Parents United for Public Education and the Caucus of Working Educators. Her activism spans education, social justice and economics, using restorative alternatives to policing and discipline as a core value for systematic change. Kendra has conducted a wide range of trainings and family and community advocacy workshops and conferences for regional and national audiences. Kendra is currently developing a family and community engagement model using restorative concepts to build community support for schools. 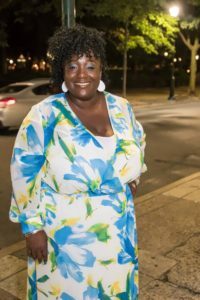 She plans to employ this experience as a school board member, working “Towards a Restorative City.” Kendra Brooks holds a BS in Therapeutic Recreation from Temple University and a MBA in Management from Eastern University. The school board should address policies around discipline and presence of police and other law enforcement in public schools. The board must lead to implement systems that foster accountability as opposed to current models that focus on punishment and punitive consequences. School facilities must be updated to be healthy, safe and engaging environments. The school board must explore additional and untapped funding streams and mechanisms on the local and state level. 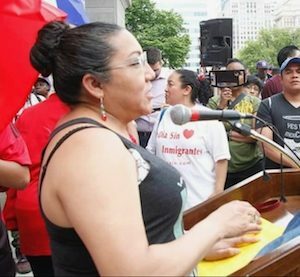 Olivia Ponce is a Mexican immigrant, mother of two and community leader in South Philadelphia. She has a daughter who graduated from the School District of Philadelphia and has a son who is a freshman at Central High School. As such, she has experienced first hand the hurdles faced by many immigrant families in our city. In 2011 she got involved with the Latino immigrant rights organization Juntos to advocate for a quality and equitable education for her children. 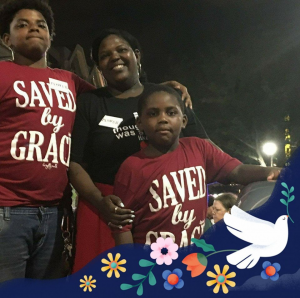 In 2012 while her son’s elementary school was slated for closure, she helped lead organizing efforts to keep her son’s school open. Eventually his school was closed, but it was her leadership along with many others that prevented many other schools from closing that year. She has passionately fought for language access in schools, more equitable funding for children of color, ending the criminalization of youth, parent participation in their schools regardless of immigration status and has been active in pushing for Sanctuary Schools. Olivia strongly believes our schools can only be successful with active community involvement from every parent and child in our city and she is an example for how one woman has made it her mission to help bring her community along. Antione Little Sr is the father of seven children — three of whom are currently students at T.M. Peirce Elementary School in North Philadelphia, the same elementary school that he attended. He is also an organizer and leader in movement for economic and racial justice in Philadelphia. He is on the steering committee of 215 People’s Alliance and the chair of the Our City Our Schools campaign where he worked diligently for over a year to lead the coalition of groups that ended the state control of Philadelphia’s schools and abolished the School Reform Commission. Antione became active in the fight for quality public education when his neighborhood schools were slated for closure. With one child who attends a public school in the suburbs, Antione has seen first hand the disparities between Philadelphia’s schools and its surrounding areas. He believes that this next era of school governance for Philadelphia must undo the damage of the years of the SRC. Antione is the business manager of AFSCME DC 33, Local 427 — the sanitation workers’ union for the City of Philadelphia. Educating “the whole child” with a free and quality public education that supports emotional, social and academic growth is a civil right to be ensured and protected for every child, regardless of neighborhood. Every school in the Philadelphia School District must be prepared to address multiple student intelligences and diverse student learning styles. They must be able to recognize at-risk students and families early and immediately seek resources and supports. Social justice materials should be infused throughout the curriculum, on-going opportunities for civic engagement must be provided, and college–career readiness from elementary through high school needs to be a planned feature of every school. 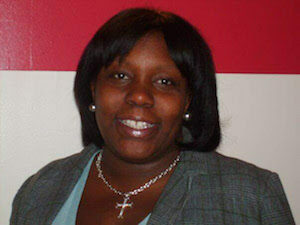 Tonya Bah is an outspoken activist, educator, parent organizer and community leader, born and raised in Philadelphia. She is an alumna of Philadelphia Public Schools, and the parent of 16-year-old twins currently attending Philadelphia Public Schools. Tonya advocates for the special needs community, and she’s a staunch advocate for racial and economic equity and environmental justice in the public school system and the Democratic Party. Tonya has been widely recognized for her leadership, and she received the Unsung Hero Award in 2016 from the Johnson House. She is the Home and School President for Widener Memorial School, SAC Facilitator for Wagner Middle School, the Vice Chair for Concerned Citizens for Change, and Steering Committee member of Neighborhood Networks. Tonya is also involved with Win the City, IMPACT, Opt out Philly, Philadelphia Climate Works, Alliance for Philadelphia Public Schools (APPS), the 35th District Town Watch, the Broad and Olney Business and Community Association, and the Caucus of Working Educators. The school board must address the school district curriculum, particularly curriculum that has done damage. The curriculum must be about what the students need, and not about what textbook companies push. The board must push back against monied interests that seek to profit off of our kids’ education like social impact bonds and online learning. There must be transparency on the school board and in governance of the school district. 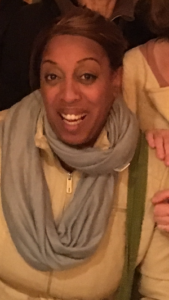 Sheila Armstrong is a community organizer for POWER (Philadelphians Organized to Witness Empower and Rebuild) and is an alumna of the Philly Public Schools. Armstrong is also the parent two sons who are students in Philly Public Schools. One of her sons is autistic, and she has seen him thrive because he had access to a culinary skills program in his school. She wants to fight for all students to have access to programs like he has. Armstrong is also a passionate advocate for at-risk children and families, having experienced the foster system and teen homelessness herself. Armstrong holds a masters degree in business from the University of Phoenix. Sheila wants to sit on the school board because our city and state have neglected our children for decades — she is fighting for a better education system because our state, city, our children, and our future are worth it! End racism in school funding because the color of a child’s skin and their zip code should NOT determine a school’s funding level. 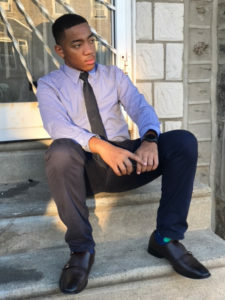 Horace Ryans III is an African-American second-year student at Science Leadership Academy, where he is a sophomore. He is very involved in the improvement of his local school and the upbringing of his fellow students. He is the special projects coordinator for UrbEd Inc, working to bring an equal and urban education for all students. 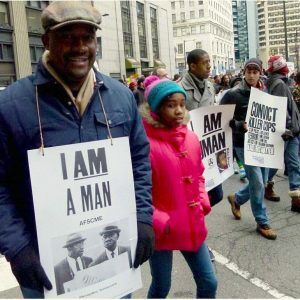 He hopes to one day teach in the place he fought for: right here in Philadelphia. He is an alum of both public and charter elementary schools, and he knows students have unique perspectives that are critical for the board to best serve the district. 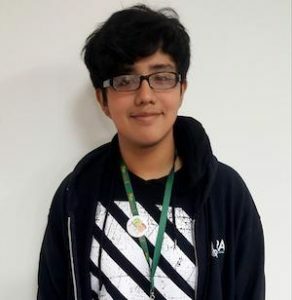 Edgar Villegas is a 15-year-old freshman who attends the Creative and Performing Arts High School. He is the son of undocumented parents from Mexico, and as such he knows firsthand the experience of growing up in a mixed status household. He got involved with the Latino immigrant rights organization Juntos when he was 13 years old because he understood the growing threat of deportation that many undocumented people in his community face, and he wanted to fight back against it. While studying at Abigail Vare School in 2012, he was active in the organizing efforts to keep his school open. Even though his school was eventually closed, his organizing efforts and those of his community helped keep many other schools from closing that year. He strongly believes in the power of youth leadership and is committed in ensuring that all young people, regardless of immigration status, have their voices heard when it comes to their education. Schools need adequate supplies and staffing, so that parents and teachers don’t have to front money, and so kids have consistent access to counselors and support. Schools need to hire translators for parent-teacher conferences. Aileen Callaghan is a single mom, educator and organizer. As a student teacher at Temple University, she witnessed the disparities in resources and opportunities across the school district firsthand, within the Philadelphia School District and even more so compared with suburban districts. 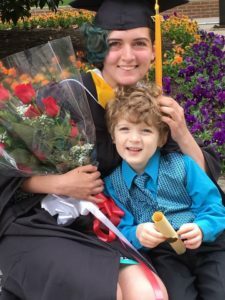 As a young person saddled with student loan debt from her teaching education, Aileen joined the fight for educational justice to advocate on behalf of teachers, students and parents, and also to fight for her 4-year-old son’s educational future. Aileen is also a steering committee member of Reclaim Philadelphia. Push back on monied interests and fight for the good of the schools. Tonayia Coffer has spent the past seven years immersed in our schools – as an interested taxpayer, a parent of four, and then by volunteering for and playing a leadership role in Fox Chase Home and School, raising funds and advocating for resources from the School District. Tonayia’s children attend both public and charter schools in the city. Tonayia is a member of Parents United for Public Education and is an active community member in Bustleton in the Northeast where she and her family live. Tonayia has worked for the last 17 years as project manager and business analyst where she manages teams and advises companies on project execution, budgeting, governance, and process improvements. Tonayia believes that every dollar we spend on our schools should count. She aims to amplify parent voice and influence decision making on budget, funding, school safety, and curriculum. Nikki Bagby is a proud wife and mother of six. 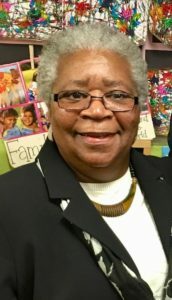 She has been a Parent Liaison for the Philadelphia School District’s School Improvement Team and held office as a Home and School President for over five consecutive years. She is the marketing manager of UnitedHealthcare Community Plan of Pennsylvania, which falls under the governmental division specializing in healthcare access for our most vulnerable populations. She is also the president and founder of A Humbled Heart, a non-profit organization. She is currently a board member of Children’s Hospital of Philadelphia’s Community Advisory Board and the Black Women’s Leadership Council of Philadelphia. She has previously served as a board member for Habitat for Humanity Philadelphia, Faith in God Family Restoration Corporation, UnitedHealthcare of PA, UnitedHealthcare Southeastern PA Pharmacy & Therapeutics Committee, Philadelphia City wide NAC Alliance, Nicetown Weed and Seed, The Philadelphia Mural Arts Advisory Committee, and Nicetown Community Development/NAC.